Woman Traveler Walking On Wooden Path Trail With Lakes And Waterfall Landscape In Plitvice Lakes National Park, And Famous Travel Destination Of Croatia. Fotos, Retratos, Imágenes Y Fotografía De Archivo Libres De Derecho. Image 116528137. Foto de archivo - Woman traveler walking on wooden path trail with lakes and waterfall landscape in Plitvice Lakes National Park, and famous travel destination of Croatia. 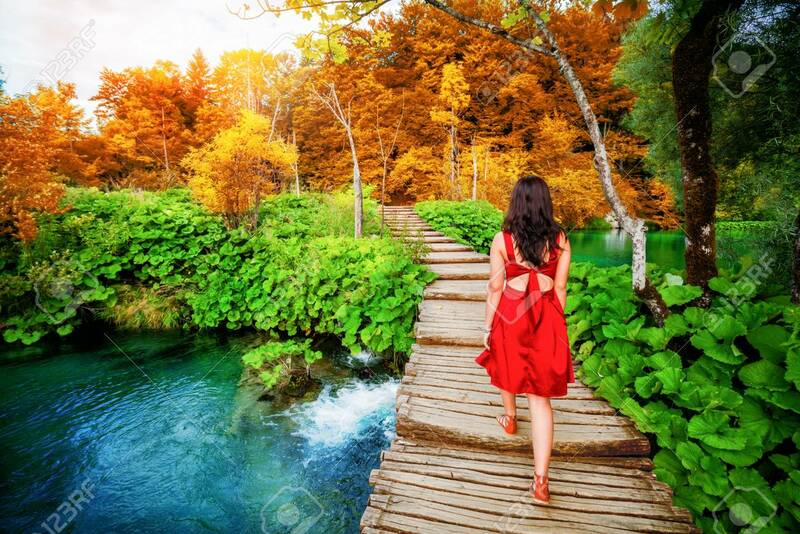 Woman traveler walking on wooden path trail with lakes and waterfall landscape in Plitvice Lakes National Park, and famous travel destination of Croatia.